The mission of Parenting Journey is to create safer, more resilient families by supporting them in developing the inner strengths, life skills, and networks of resources they need to succeed. Parenting Journey (formerly The Family Center) was founded by Anne Peretz in 1982. It was a bare-bones operation during its first year, as Anne and her team worked out of a van they drove directly to local housing developments, so that we could respond to the most immediate and pressing needs of the communities we served. In 1983, the organization moved into new permanent quarters—two Victorian houses in the Davis Square neighborhood of Somerville, Massachusetts—and began offering services as a licensed medical clinic, as well as family support, to individuals from all over the Greater Boston area. Because of our close and constant contact with the parents we served, The Family Center team gained direct insight into the needs of these families and were able to identify the need for improved parenting skills as an issue in the local community and beyond. We began developing the curriculum for a strengths-based parenting program with measurable, evidence-informed results. 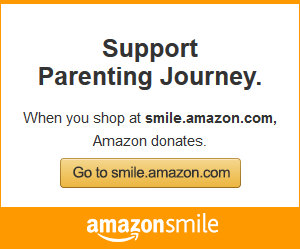 The Parenting Journey program for parents and caregivers was launched in 1996. Aligned with the Strengthening Families Protective Factors Framework, this program has been well received, with recognition and recommendation by state and local agencies in Massachusetts, New York, and beyond. In response to the success of this program and popular demand from parents requesting additional education and support for those who had completed the Parenting Journey 12-session curriculum, we launched the Parenting Journey II in 2000. As an organization, Parenting Journey continues to innovate. Responding to the similar yet unique challenges of immigrant parents, our staff specialists and facilitators began developing a specialized curriculum for parents raising bicultural children. The Parenting in America program debuted in 2001, geared toward the local Haitian-Creole population. Today, a Spanish-language version is also offered. In 2002, we moved our headquarters to Somerville’s Union Square neighborhood, renovating our new home to provide a welcoming, safe haven for families. Ten years later, we closed the doors of our mental health clinic in order to concentrate our attention on providing enhanced services to parents and families. We changed our official name to the Parenting Journey in 2014 to better reflect this renewed and ongoing focus on families—parents, caregivers, and their children. We are buoyed by the results our programs have achieved, and we are committed to developing new programs to respond to current needs. These offerings will include family coaching, programs for parents and caregivers recovering from substance and alcohol addiction, and an initiative to strengthen and connect fathers with their children. To date thousands of parents have participated in the Parenting Journey program—more than 52,000 since 2007. Our programs have been replicated in nearly 500 locations across the United States, and we are actively expanding our reach. We have set ambitious goals for helping more parents build the competencies they need for a healthy, strength-based approach to raising their children—and we strive constantly to exceed them.